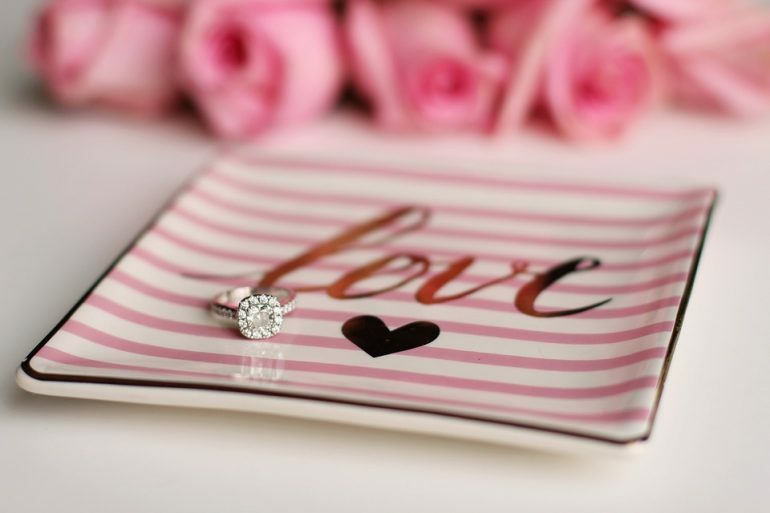 When shopping for an engagement ring and wedding ring there are so many factors to get you muddled up that the last thing on people’s mind may be the choice of metal and the possibility of having an allergic reaction to something. This can cause you to have an itchy finger and redness around the areas that may cause the wearer distress and irritation quite literally. Fine jewellery is more expensive but will last longer and will cause less problems to the wearer. That said even the finest of jewellery may have traces of metals that can cause irritation to the most sensitive of skin. 18kt gold is the most commonly chosen metal for the rings we sell. It is strong and durable and precious. Great care must be taken when choosing white gold. The simple reason being that if the alloys used are a cheaper mixture such as nickel or copper, there is a strong possibility that this will cause irritation to sensitive skin. The best alloy to make white gold with is a high level of palladium alloy. 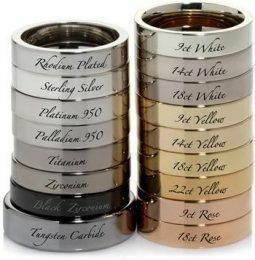 Palladium is hypoallergenic as is gold and mixing the two is the best way to attain white gold. That said, you should understand that white gold is plated with Rhodium so it is the rhodium that is touching your skin until it wears off due to everyday wear. Rhodium is a member of the platinum family and is the brightest and hardest. Its weight – Platinum weighs more than other precious metals and when multiplied by the market price it works out more expensive than, for example gold. Palladium has recently hit record high prices on the markets. Once the preserve of the clients seeking a cheaper alternative to gold and platinum, it is now competing with them for price at the top of the market in metal prices. At the time of writing, Palladium prices have soared, and it is now on a par with gold prices and above the price of platinum. Palladium is hypoallergenic when purchased pure or Palladium950 which like platinum is 95% pure. We would suggest you avoid palladium500 as it is only 50% pure and 50% alloy and chances are if your skin is sensitive that it may cause an adverse reaction. Rhodium is a member of the platinum family of metals. It is the brightest and hardest of the family. Rhodium is the most expensive of the metals on the market and is priced approximately at twice the price of gold. It is hypoallergenic and therefore when it coats a metal protects the wearer from the metal beneath but only until this plating wears off. This is a problem many will find in today’s market and a purchaser must trust the jeweller they are dealing with to avoid problems. Sometimes a purchaser unwittingly buys a ring made from ‘cheap’ white gold that may contain an alloy that will cause irritation to the skin. The ring is then coated with expensive Rhodium (and looks amazing under shop lights) but as time goes by this Rhodium coating (plating) starts to wear away and the wearer’s finger or hand becomes irritated and inflamed. It’s best to ask for white gold with a high palladium content to ensure that the base of the ring is white before it is coated with Rhodium and this will cause less problems in the long run. At Loyes Diamonds, we sell 18kt White, Yellow and Rose Gold and Platinum950 and Palladium950. If you would like to make an appointment, we would be more than happy to show you the different metals and answer any questions.